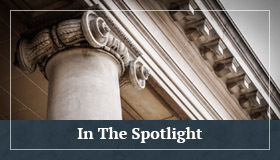 New Jersey Supreme Court Weighs New Standard for Evaluating Bad Faith Claims Against Insurance Carriers | Golden Rothschild Spagnola Lundell Boylan Garubo & Bell P.C. The Supreme Court of New Jersey recently rendered two major decisions in favor of insurance carriers with regard to Uninsured and Underinsured Motorist claims. In both cases before the New Jersey Supreme Court, Badiali v. New Jersey Mfr. Ins. Co., (A-48-12), and Wadeer v. New Jersey Mfr. Ins. Co., (A-54-12), the plaintiffs allege that New Jersey Manufacturers Insurance Co.(“NJM”) routinely rejects uninsured motorist claims in bad faith and without appropriate consideration. NJM relies on the “fairly debatable” doctrine in rejecting these claims. The Supreme Court of New Jersey first adopted the “fairly debatable” doctrine in Pickett v. Lloyd’s, 131 N.J. 457 (1993). In Pickett, the Supreme Court held that when an insurance carrier denies a “fairly debatable” claim, meaning there exists a reasonable basis for denying the claim, the insured cannot successfully mount a bad faith claim against the insurer. In contrast, plaintiffs ask the Court to design a new, subjective standard for evaluating insurance carriers’ denial of claims, under which a fact finder would be asked to evaluate when and how an insurance carrier made the decision to deny a claim. In Badiali, an arbitrator awarded plaintiff a total of $29,148.62 for injuries resulting from the negligence of an uninsured driver. Half of the award was paid by Harleysville Insurance Company. Relying on a policy clause that provided that an arbitration award will not be binding when the amount of damages exceeds the minimum limit for liability set forth by the Financial Responsibility Law of New Jersey ($15,000), NJM rejected the award and demanded a trial. Plaintiff filed suit and argued that NJM could not demand a trial, because NJM’s liability was less than $15,000. The trial judge agreed with plaintiff, and NJM appealed. On appeal, the Appellate Division analogized this case to its earlier decision in D’Antonio v. State Farm Mutual Automobile Insurance Company 262 N.J. Super. 247 (App.Div. 1993), and re-affirmed its conclusion that such contractual provisions allow trial only when arbitrators award UM/UIM benefits for which the insurance carrier’s responsibility exceeds the mandatory minimum liability limit. In both Badiali 429 N.J. Super. 121 (App.Div. 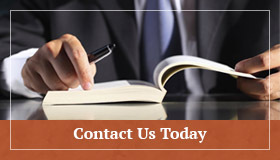 2013), and D’Antonio, the Appellate Division reasoned that a trial would only be to determine the insurance carrier’s liability, not the tortfeasor’s, and, accordingly must be of such a “sufficient magnitude to justify a trial.” After that Appellate ruling, plaintiff filed another complaint against NJM, pursuing damages, predominantly counsel fees, for his quest for judgment in the earlier appeal. This time, the Appellate Division affirmed the trial court’s ruling in favor of NJM, finding that plaintiff could not “persuasively argue” that NJM’s rejection of the arbitration sum was in bad faith. In Wadeer, plaintiff was injured in a motor vehicle accident that he claims occurred after a phantom vehicle (an unidentified and still-unknown vehicle) swerved into his lane, causing plaintiff to strike two other vehicles. The resulting UM lawsuit culminated in a $255,175 jury award, which the trial court shaped to match NJM’s $100,000 policy limits, added attorneys’ fees, costs, and interest, and reduced the total judgment. Both plaintiff and NJM appealed. Plaintiff claimed that NJM acted in bad faith in not offering to settle plaintiff’s claim without factually disputing plaintiff’s claims, delaying prompt and fair settlement of the claim, and delaying payment by way of a lawsuit that plaintiff claimed was unnecessary. NJM successfully filed a summary judgment motion, and the trial court granted it, concluding plaintiff’s bad faith claim was barred by the entire controversy doctrine and res judicata. Plaintiff appealed, but the Appellate Division affirmed the trial court’s reasoning, noting that plaintiff threatened NJM with a bad faith claim before trial, but did not file it until after the trial concluded. Before the Supreme Court, plaintiff argued that the bad faith claim did not accrue at the time NJM initially denied the UM/UIM benefits, but instead later at the conclusion of the trial awarding plaintiff a judgment. The Supreme Court disagreed, holding that res judicata barred plaintiff’s action. The New Jersey Supreme Court determined that insurance carriers may rely on a “fairly debatable” position when rejecting an arbitration award. Whether a carrier’s position is “fairly debatable” is a fact-sensitive analysis. For example, in Badiali, the Court determined that NJM reasonably relied on an ordinary reading of its policy and an unpublished Appellate Division opinion with nearly identical facts in determining that the claim was “fairly debatable.. Thus, the Court recapitulated in Wadeer the standard for the “fairly debatable” standard: a claim is “fairly debatable” when “a claimant . . . could not have established as a matter of law a right to summary judgment on the substantive claim[, he] would not be entitled to assert a claim for an insurer’s bad faith refusal to pay the claim.” These twin decisions have bolstered carriers’ ability to acknowledge that UM/UIM claims can be “fairly debatable” and, on that basis, carriers are not obligated to immediately pay out. Instead, carriers may continue with litigation to ensure the claims are valid. So long as the facts, policy, and law bolster such a conclusion, carriers may rely on this fully adopted and established doctrine when denying unsubstantiated UM/UIM claims.